Many more items available, please call with your inquiries! All items are subject to prior sale and credit approval. Call (708)388-8300 for availability and pricing. Call (708) 388-8300 for Best Prices on all your steel needs! ! ! Immediate Turn-Around is available on all Cut-to-length and Shear Orders. We are looking for sheet customers. Great Deals available while we build this end of our business. We wish to send continued heartfelt THANK YOU and our thoughts and prayers to our armed forces for their selfless devotion to our freedoms! We wish they all will return home soon and safely. Check back often for updates to our FYI notices. 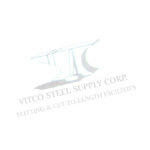 This is for informational purposes only and is not to be used without written permission from Vitco Steel Supply Corp.
F.Y.I: Vitco Steel Supply Corp. is growing our Customer base with many exciting changes taking place. We are looking for an ambitious, self-motivated, friendly person interested in building a career, not just a job in Carbon Steel Sales. This individual must have a minimum of an associate’s degree preferably in Business, Marketing or Engineering and/or work experience with Carbon Steel. This position may include a minimum of two months in our warehouse to learn procedures and our product. The candidate must be proficient in Microsoft Office including Excel and able to prioritize duties with minimal direction while having direct access to customers and suppliers. She/He must be a team player and be ready for something new every day! You may apply for these positions onsite (See “Location Map” link above for directions).